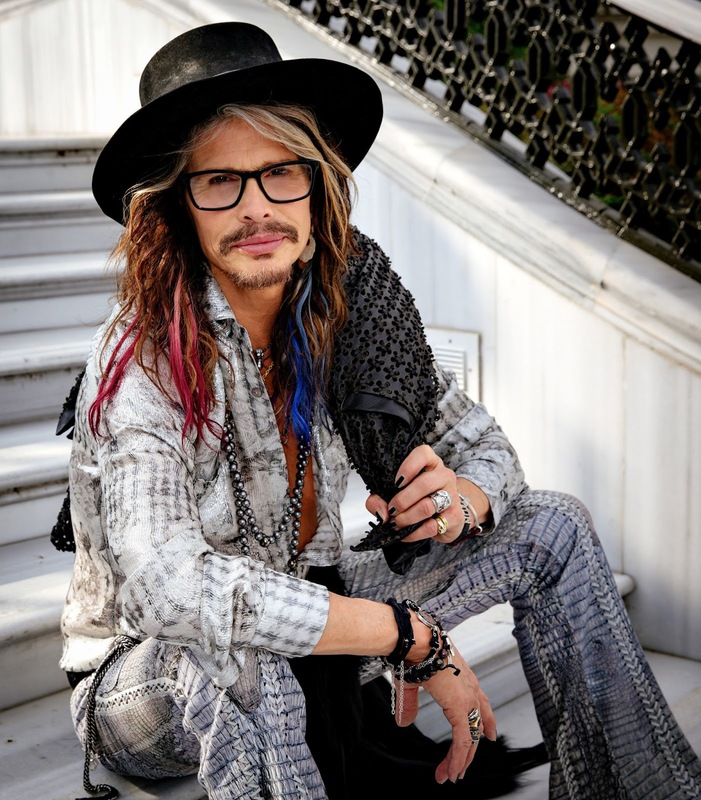 The Hospitality Committee for United Nations Delegations has named Steven Tyler the recipient of its 2016 Humanitarian Award. Tyler will be honored at the Ambassadors' Ball on Dec. 3 in New York. The honor is in recognition of the musician's philanthropic partnership with Youth Villages through Janie's Fund, created by Tyler in 2015 to give his voice to vulnerable girls who have experienced the trauma of abuse and neglect and are being helped by Youth Villages. "As a father to three daughters, a son, and, now a grandfather, it broke my heart to learn that each year in America alone 700,000 children are victims of serious abuse or neglect and 68,000 will be sexually abused," Tyler said. "All abuse is wrong -- verbal, physical, sexual, emotional. We need to have better ways as parents to help our children and support them. Way too many kids are experiencing abuse, and we want to change that. Enough is enough." In its first year, Janie's Fund has gained 2,700 supporters from 38 countries who have contributed more than $1.9 million to help girls receive evidence-based help so that they can overcome the trauma of abuse and neglect. This year, Janie's Fund will allow Youth Villages to provide more than 18,000 days of care to girls in need, directly helping more than 300 girls. Tyler has long had a desire to help with this issue, dating back to the 1980s when he was in a program for his own recovery. Hearing the personal accounts of women who had experienced incredibly painful and debilitating sexual abuse as children, he saw how the abuse put them on a path of suffering, post-traumatic stress and other disorders that eventually led to substance problems. It was their plight that inspired Tyler to compose the song, "Janie's Got A Gun." "I personally know how addiction can fracture lives," Tyler said. "I don't wish that on anyone. To use my voice and the voices of many others to help these girls once again find their voice is my mission." Tyler, the frontman of the legendary rock band Aerosmith, recently released a country album "We're All Somebody from Somewhere," which debuted at number one on the Billboard Top Country Albums chart and at the top of the iTunes country downloads. Tyler and Aerosmith have sold more than 150 million records worldwide; he has won four Grammy Awards, six American Music Awards, four Billboard Music Awards and an Emmy Award. In addition to having nine number one hits, 25 gold, 18 platinum and 12 multi-platinum album certifications, Tyler, along with the rest of his band members, were inducted into the Rock & Roll Hall of Fame in 2001. Secretary-General of the United Nations Ban Ki-moon has a long history in the fight to end violence against women. "Break the silence," the secretary-general has said "When you witness violence against women and girls, do not sit back. Act! Violence against women and girls will not be eradicated until all of us—men and boys—refuse to tolerate it." "In choosing this year's recipient, we searched diligently to find the humanitarian whose efforts are in harmony with the Secretary General, who will be saluted at this year's Ambassadors' Ball as his decade of UN leadership ends on December 31," Mel Gee Henderson, HCUND co-chair, said. "We came to realize Steven Tyler is not only a gifted composer and musician with a great big voice but a soul with an even bigger heart who sincerely wants to help those suffering from the horrific pain of abuse." Luz MacArthur, chairman, said: "Tyler may seem an unexpected choice at first glance. But the more we learned about Janie's Fund, the more convinced we were that Tyler is the person who can genuinely affect and inspire millions to help in the fight against violence inflicted upon girls and women, not just in the U.S. but around the world." The 2016 HCUND Ambassadors' Ball is sponsored by Cambria, an American-made quartz countertop manufacturer. "As a friend and strong supporter of Steven Tyler and Janie's Fund, Cambria is proud to sponsor the event," Summer Kath, senior vice president of business development, said. "We value strong relationships with partners and communities and continues to serve through a multitude of philanthropic initiatives locally and abroad. We hope you'll join us in supporting Janie's Fund." The Hospitality Committee for United Nations Delegations is the only nonprofit volunteer organization located within the United Nations Headquarters. HCUND promotes and strengthens understanding between all levels of the United Nations diplomatic community, and broadens their appreciation of American culture and customs while serving and residing in New York City. Youth Villages is a private nonprofit organization that helps more than 22,000 of America's most vulnerable children and families each year in 12 states and Washington, D.C. Youth Villages has been recognized by Harvard Business School and U.S. News & World Report, and was identified by The White House as one of the nation's most promising results-oriented nonprofit organizations. For more information about Youth Villages, visit youthvillages.org. For more information on Janie's Fund go to janiesfund.org.